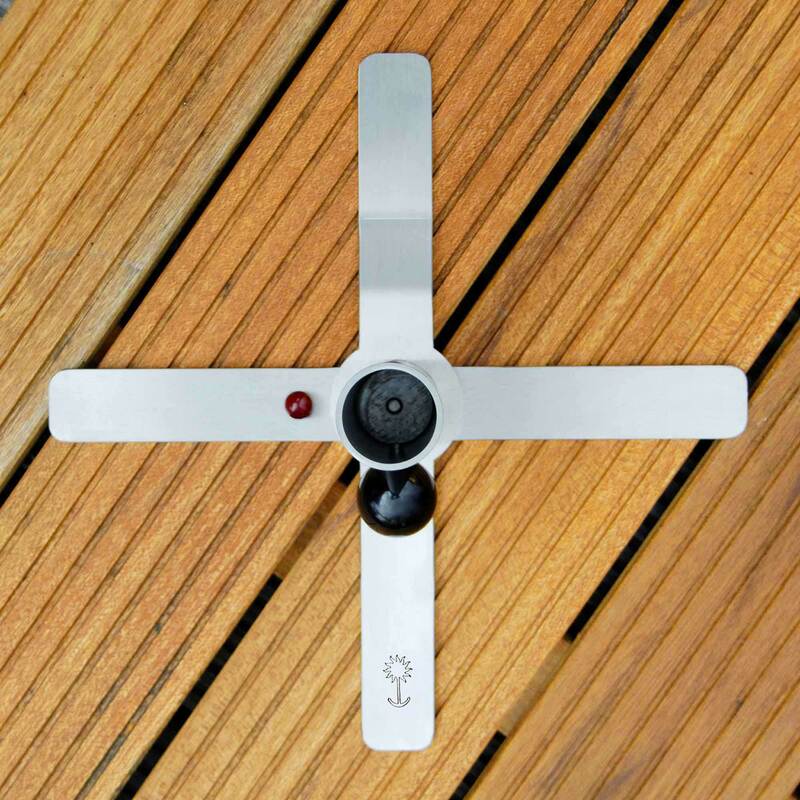 Originally there was only the Anchor Base: a light and elegantly styled parasol base for wooden terraces. 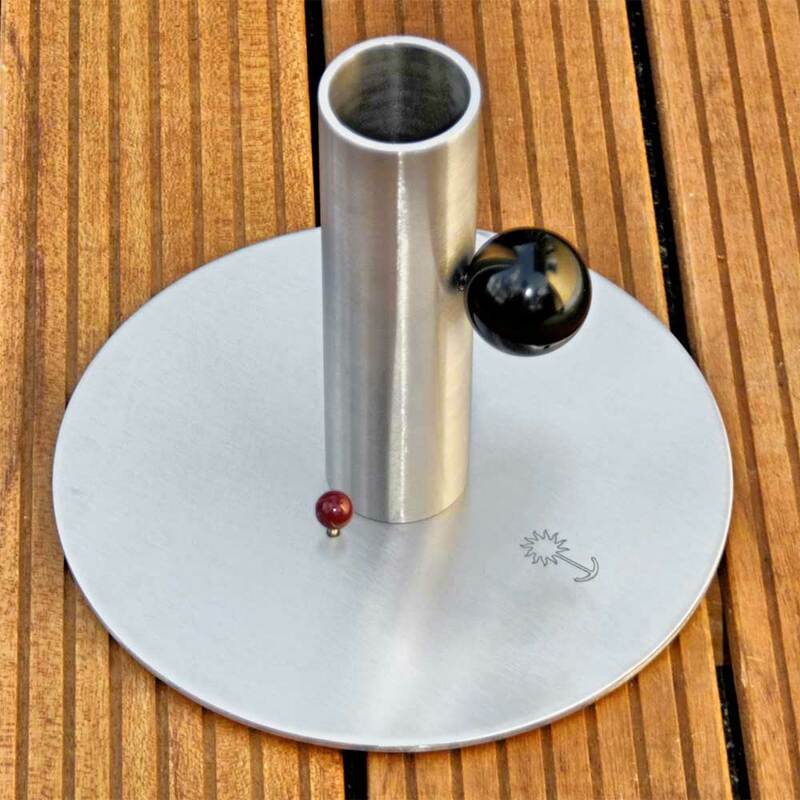 This prize-winning parasol base is child’s play to move and the unique stainless steel anchor interlinks firmly with the decking boards on your terrace or on your balcony. In the meantime, our collection has grown: hammocks stands, tables, small pedestals and parasol bases: all work on the same principle. That’s why we label everything with the sonnenanker. Is the sun shining in at an irritating angle? 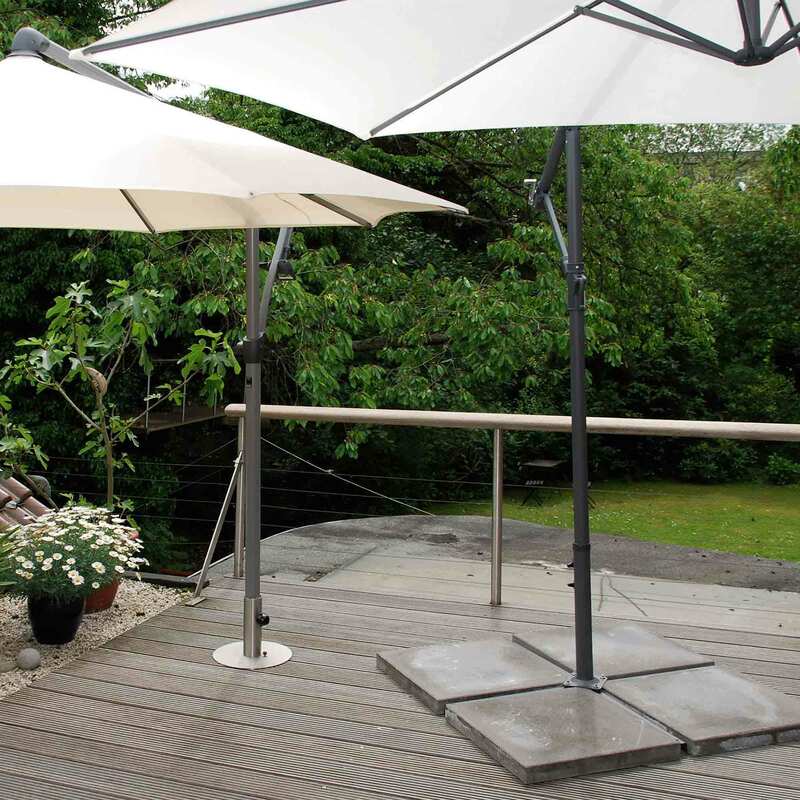 Simply grab our parasol base, relocate it to wherever you need it and anchor it in its new position with a turn of the wrist. You will never need to wheel or lift a heavy parasol base again. And there will be less risk of tripping up on the way. 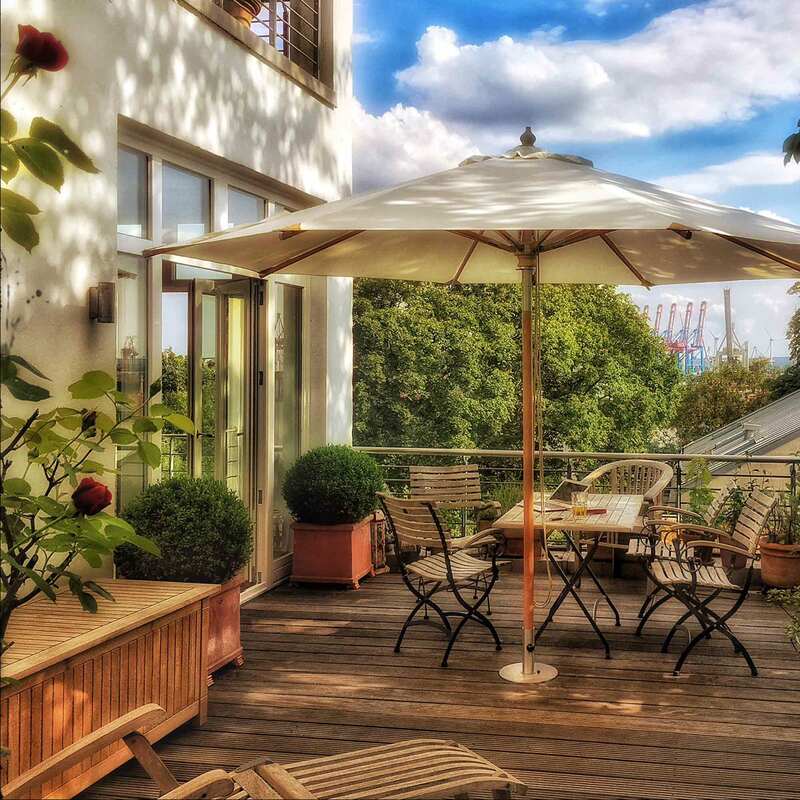 The same goes for the other members of the sonnenanker family: the hammock brackets are playfully easy to assemble and disassemble, the tables are offset by a handle. The basic idea is as simple as it is effective: the planks and the substructure of wooden terraces are screwed together in many places. Your wooden deck is like a very big and very heavy foot for your sunshade. All that is left is to fix the sunshade on your wooden deck. This is thanks to a small stainless steel anchor at the bottom of the parasol base. 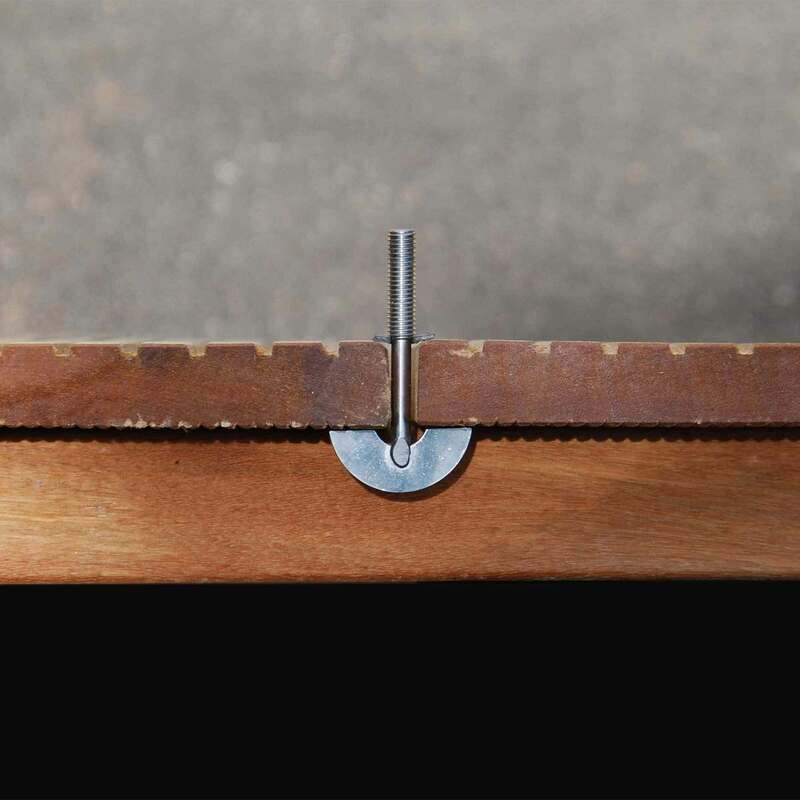 Place it in any gap between the boards and couple it to your wooden deck with a slight turn. Once fastened, our parasol bases can securely support parasols of up to 4 m in diameter in Force 5 winds – and it is extremely simple to move. This uniquely designed system is protected by a utility model and a European design patent. You can easily find out how good our products are and wether you like it. Just try them for two weeks! On your own terrace or on your own balcony. If you do not want to keep the products, just send them back. The purchase price and the shipping costs you will be refunded immediately . The return is easy. 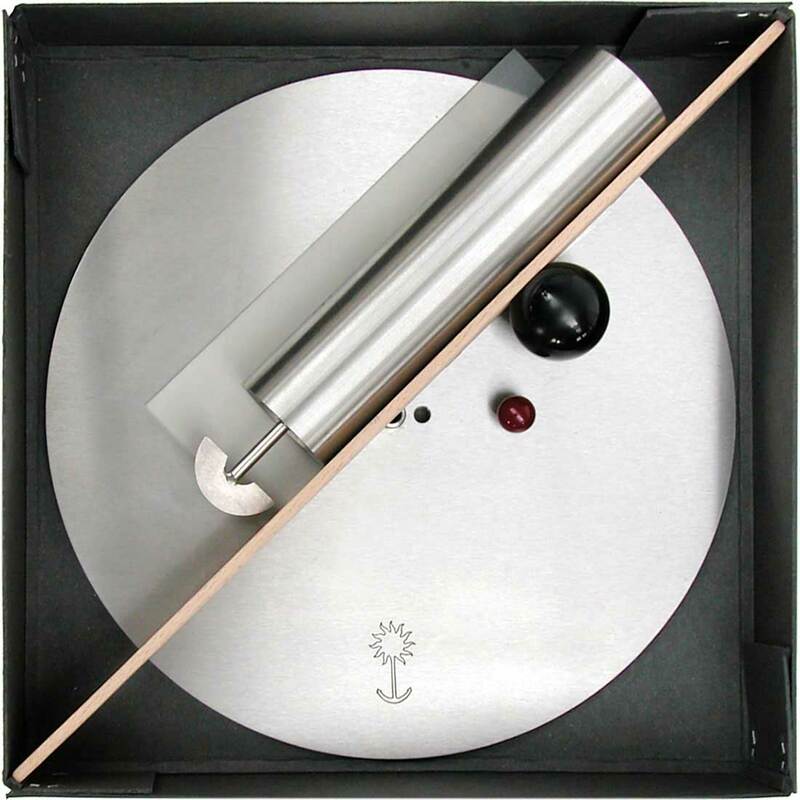 The box in which the parasol base comes to you is sturdy, compact and – by the way – also elegant. We dispense with packaging waste. Therefore, you can easily stow the parasol base ready to move again. All items from sonnenanker are made of stainless steel in Germany and are available in various designs. In 2011 the parasol base by sonnenanker received the red dot design award for its well-thought-out conception and convincing design. In addition to this, it was nominated for the German Design Award in 2012 . In 2013, the parasol stand and the bar table were awarded the Design Award of the Federal Republic of Germany in silver, the highest honor awarded by the Federal Republic for outstanding design. Anchor Base stands up to wear and tear – guaranteed! Can a little anchor really hold up to the strain? It certainly can. Thanks to its design, the anchor bears only tensile load and can withstand a pulling force of at least 500 kg (5 kN). That’s more than the heaviest parasol base weighs. 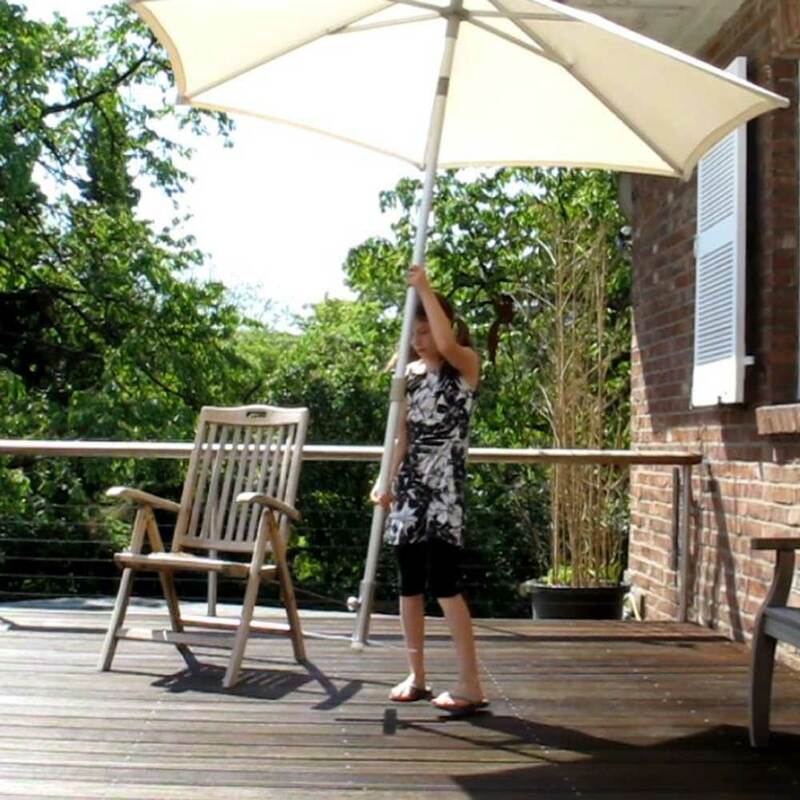 This mean our parasol bases easily weather a moderately severe storm – unlike your sunshade. This is why we recommend closing your parasol in winds exceeding force 5 on the Beaufort scale. All products consist only of essential components; all of them made with great care in Germany. The central component, the anchor, is individually tested for its load-bearing capacity. We give you a ten-year guarantee that all the delivered parts will function as intended. Go here to view the specific warranty conditions. Good wooden decks last a long time, but not forever. If your new wooden deck has much thicker or thinner planks, you will need a different anchor. We change it for free. 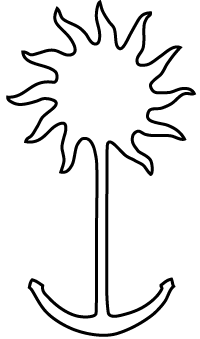 Or you have purchased another parasol and the new pole is thicker or thinner. 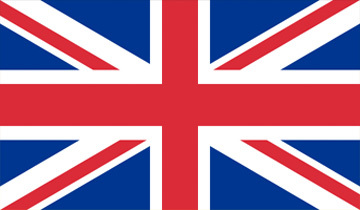 We will exchange your pole sleeve for a larger or a smaller one – and that for years to come. We like to solve problems! Call us or write us. Frequently, a solution already results from the adaptation of our components. In addition, we have some developments that we do not offer publicly or not yet.